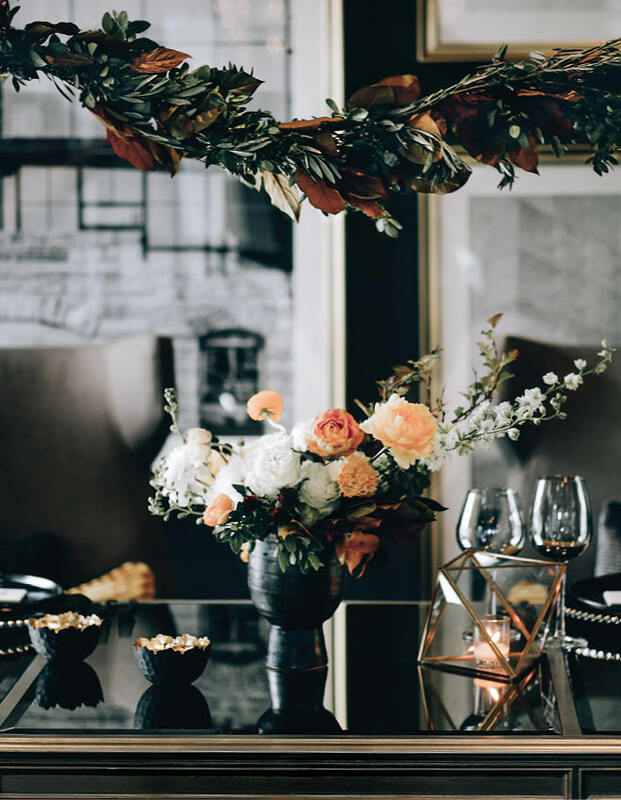 The Hotel Ivy is the chic setting for this brilliant wedding design by The Simply Elegant Group. The bride starts it all off in this lavish satin gown with envelope neckline and statement seaming, by Justin Alexander from Annika Bridal Boutique. 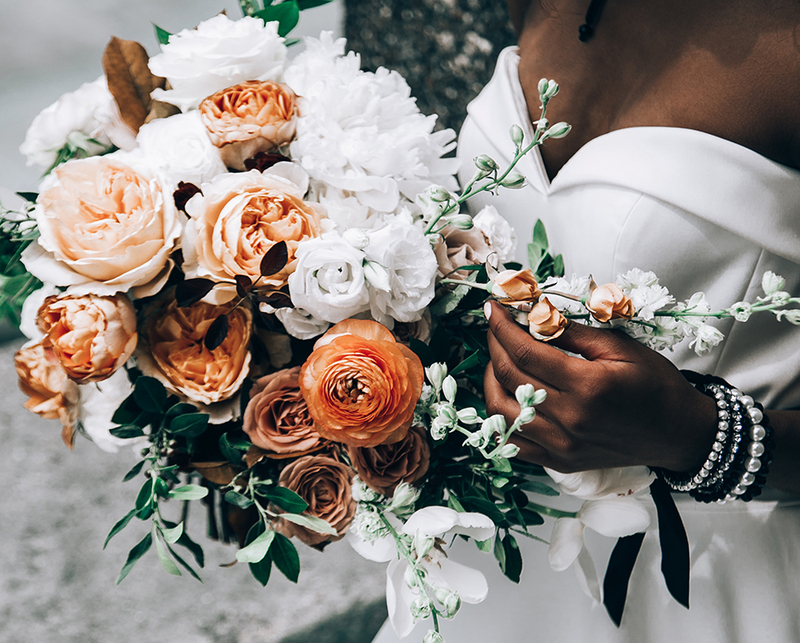 For color and flair, add the stunning bouquet by Tulips and a Kiss, an opulent mélange of ranunculus, a riot of roses, and peonies, tulips and larkspur. 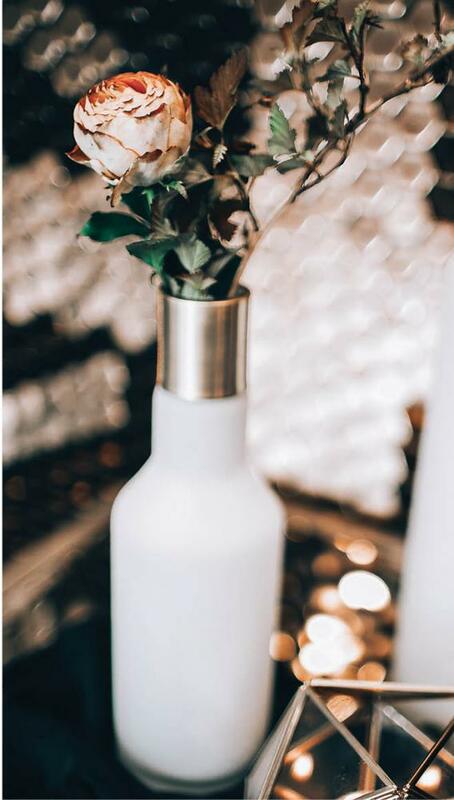 Simple details add so much: A single flame encased in a brass and glass candleholder symbolizes light and love, a single bloom the tenderness of the day. 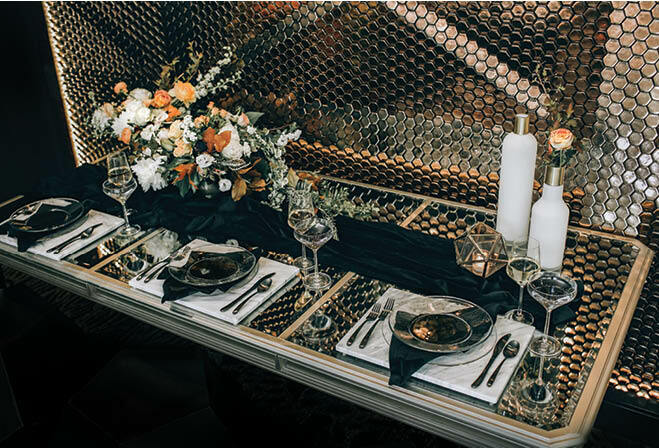 The table setting of glass and metal, black and white, and just a splash of organic color is the height of sophistication. 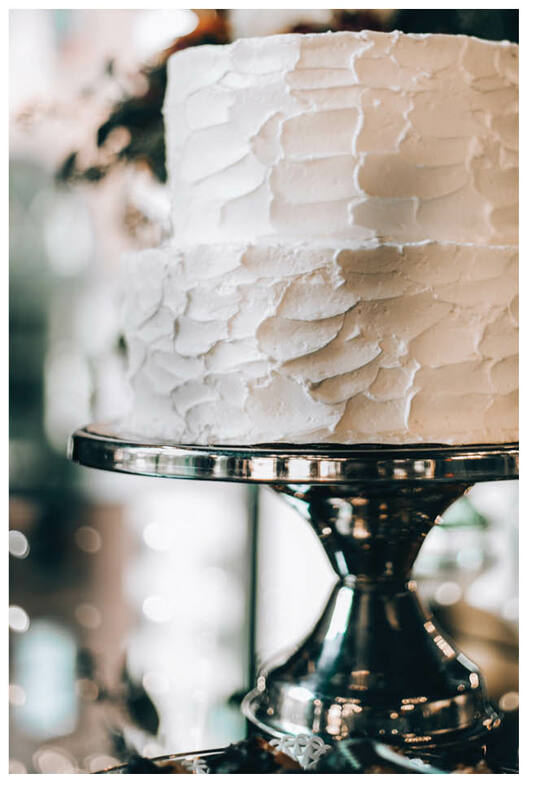 A silver platter elevates this minimalist cake from The Deco Catering to a new and classic level. 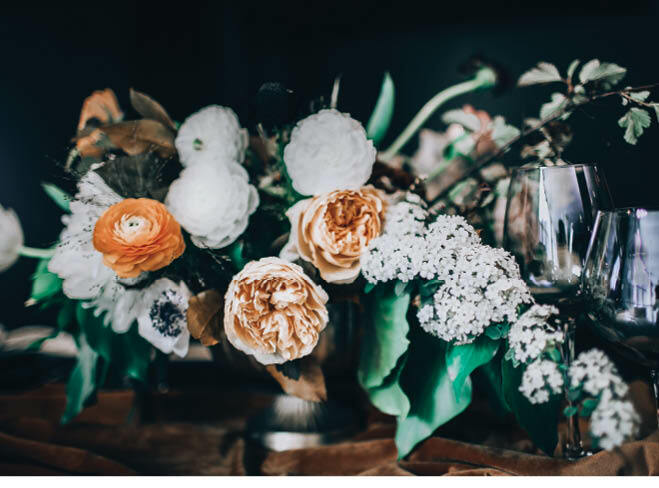 Pretty as a picture: A casual arrangement of the same flowers in the bridal bouquet, with an addition of the named-for-the-occasion bridal wreath spirea, could have come straight out of a painting. Black is the new black. 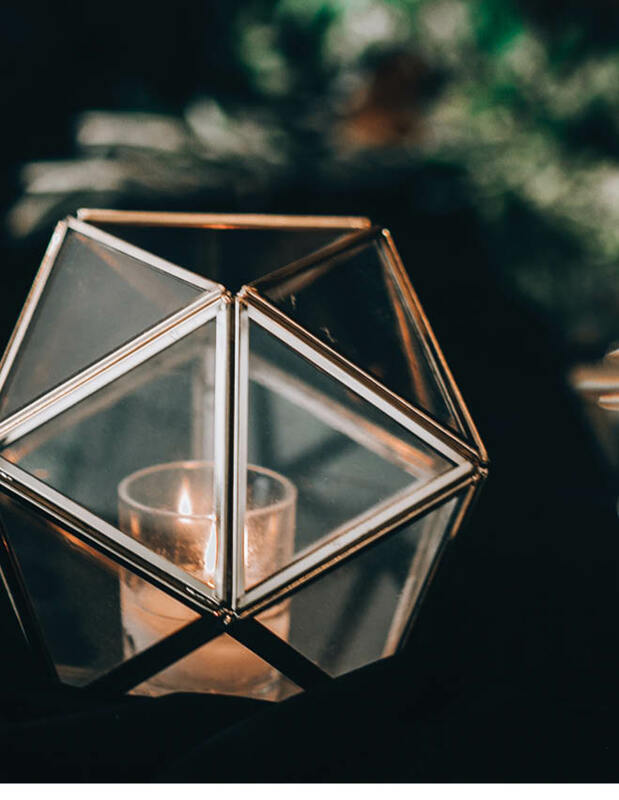 Make a statement with chargers and glassware from Après Event Décor & Tent Rental, napkins and table runners from BBJ Linen and flatware from Target. 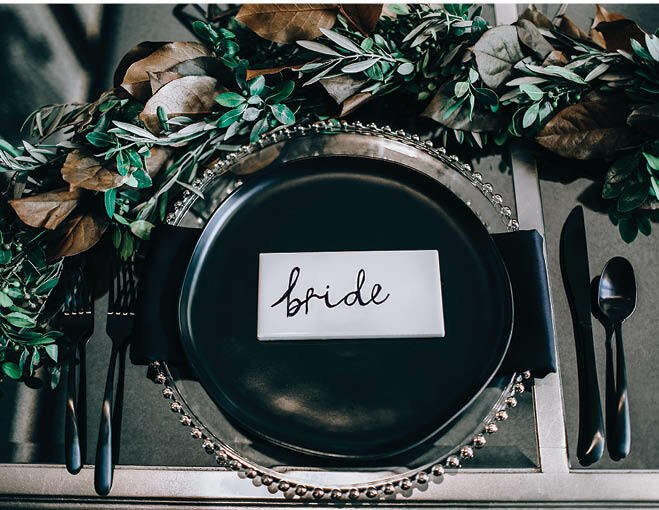 The place card by The Simply Elegant Group says it all. Clever details tie everything together. 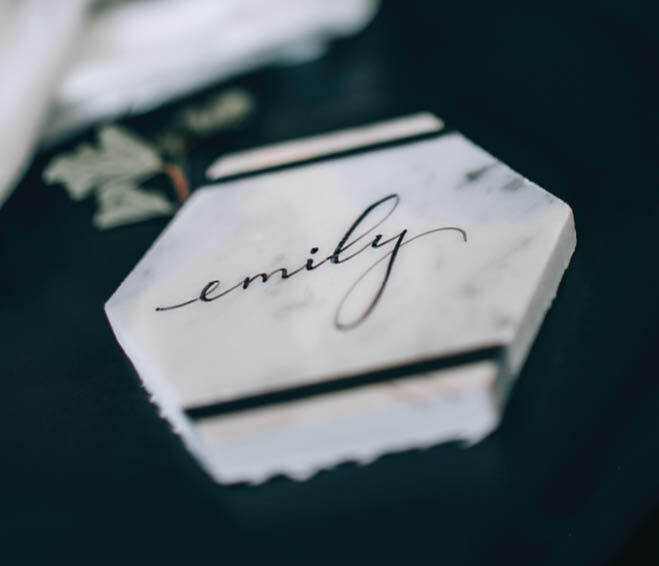 The granite place card, with calligraphy by the design team, echoes the marble details at Hotel Ivy. This blown-up art will blow your mind. Giant balloon installations are a big trend in wedding décor!